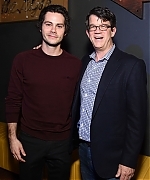 In the not-too-distant future of Weird City, Stu (Dylan O’Brien) and Burt (Ed O’Neill) discover that dating is not what it used to be, and love can be found in the most unexpected places. THE HOLLYWOOD REPORTER – Maze Runner star Dylan O’Brien is in final negotiations to topline Monster Problems, a post-apocalyptic love story from Paramount Players. Shawn Levy’s 21 Laps is producing the feature project, which rising South African director Michael Matthews recently boarded. Matthews is the filmmaker behind the neo-Western Five Fingers for Marseilles. The project is described as being a Zombieland road pic crossed with the stylings of a John Hughes teen movie, telling the story of a guy who has to survive a monsterpocalypse in order to be with the girl of his dreams. O’Brien starred in the trio of Maze Runner films, Fox’s adaptation of the post-apocalyptic YA novels. The actor also starred on MTV’s Teen Wolf series and last year starred in the gritty American Assassin thriller. He is repped by WME, Principal Entertainment and Lichter Grossman. Matthews is repped by WME. Today is the amazing Dylan O’Brien’s 27th birthday! 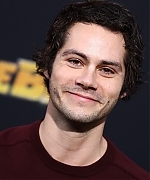 On behalf of Dylan O’Brien Daily and all Dylan fans around the world, we wanted to wish you a wonderful happy birthday! We are all wishing you another year of happiness, success, joy, health, love, and more. Make sure you send all your birthday wishes to @dylanobrien! In celebration of Dylan’s birthday, I have added exclusive outtakes from a photoshoot Dylan back in 2014 for Teen Vogue. This has always been one of my favorite shotos! Check the photos out in the gallery! Protagonist Pictures will handle international sales and launch the film to buyers in Cannes, with ICM Partners and Endeavor Content handling North America. The film is written by and will be directed by MacBride, whose last film was the critically acclaimed found-footage thriller “The Conspiracy.” Lee Kim (“Operation Avalanche,” “I’ll Follow You Down,” “The Conspiracy,” “Small Town Murder Songs”) will produce for Resolute Films. Russell Ackerman and John Schoenfelder of Addictive Pictures are executive producing. O’Brien was last seen in the final instalment of the “Maze Runner” trilogy – which to date has grossed just shy of a billion dollars worldwide, and Monroe was most recently seen alongside Timothée Chalamet in “Hot Summer Nights,” which premiered at SXSW. “The Education of Fredrick Fitzell” will start shooting in summer 2018. New Layout + 5 Years Online! Hi Dylan fans! Today marks the fifth year Dylan O’Brien Daily has been online! This site was my real first fansite and I’m so glad to still have it online to support the best person, Dylan O’Brien. :) Thank you all for the visits and follows over the years. To celebrate, I have put up a new matching layout and gallery layout thanks to my friend Jasper over at Ten Thousand Beats! We decided to go with a lighter theme since the last one being darker. Hope you all like them as much as I do! And here’s to another year of supporting Dylan!